Sweet MAX was adopted from the Shelter years ago and now at 8 years old they surrendered him because he was going to the bathroom in the house!!! He is scared, partially deaf and heartbroken and he seems to remember the shelter 💔 Please SHARE, he can GO HOME TODAY!! Thanks! 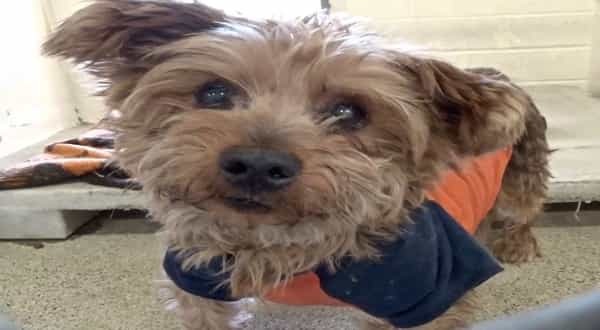 #A4491101 My name is MAX and I'm an approximately 8 year old male Silky Terrier. I am already neutered. I have been at the Carson Animal Care Center since 1/13. I will be available on 1/13. You can visit me at my temporary home at C233. My former family who owned me for had to give me up because I'm not housetrained. 0 Response to "Adopted as puppy and now at 8 years old they surrendered him because he was going to the bathroom"